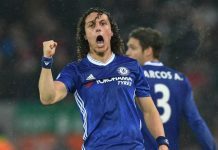 Chelsea will be looking to their second half display against Manchester United for inspiration as they look to progress in the Europa League. After a drab performance in Romania, Steaua Bucharest shocked The Blues with a 1-0 win. But, Chelsea will be confident they can get the win they need. 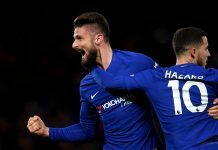 And the team can take some comfort from the second half performance at Old Trafford that saw them comeback from two down to earn a replay at Stamford Bridge (and were David de Gea’s foot away from winning). Rafa Benitez has a full squad to choose from as he bids to overturn Steaua’s one goal lead. After making five changes in the first leg, fielding a strong line-up against United and an important league derby against West Ham coming up, rotation is more than likely. With Demba Ba ineligible, Torres will lead the line in attack. And aside from Petr Cech, that’s pretty much the only starter you can guarantee. Chelsea and Steaua had never met before last week’s meeting in Romania. Steaua have never won in England, losing five and drawing two. If Chelsea score it will be their 300th in UEFA competition. If Chelsea win the Europa League, they will become the first team to win UEFA’s top two competitions consecutively in reverse order. Next articleYes to Mikel, No to Frank?